Directions: Preheat oven to 400°F. Roll dough out into one large or two small rounds on a baking sheet. Toss together apples and caramel. Mound caramel and apples in the middle of the dough leaving a 1-inch border. Fold dough up and over apples, to enclose fruit and prevent caramel from seeping out. . Brush edges of dough with egg wash, and sprinkle with sugar. 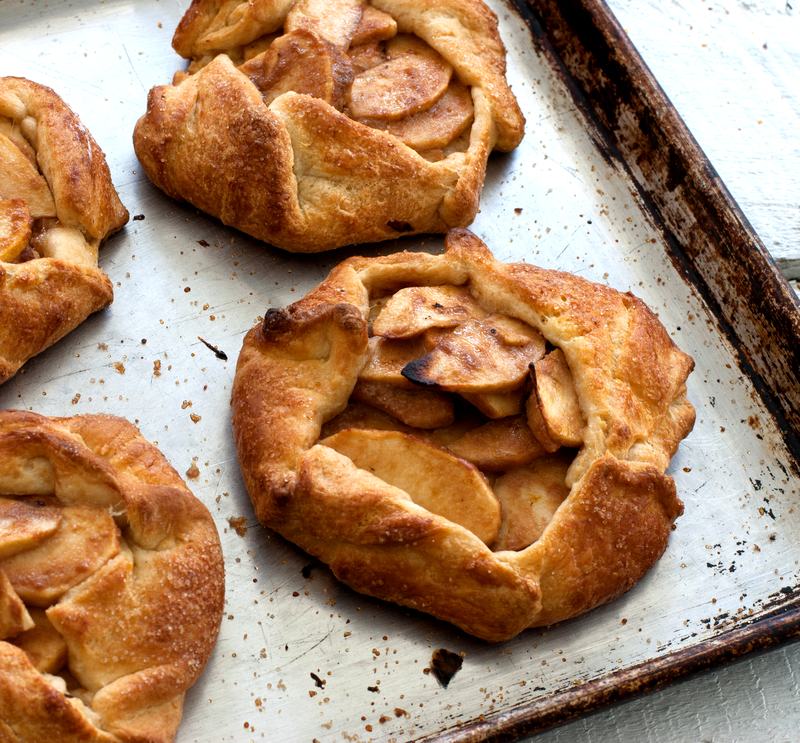 Bake until apples are tender and crust is golden brown, about 35-40 minutes.